The Many Applications of Painted Steel | Wrisco Industries Inc. Painted steel is a commodity that many industries involved with the creation of sturdy products will want to make use of. A prefinished steel coil comes with the coloring already done and treated so that it can be used as a component when ready. The use of steel in transportation and construction is already widespread, but the demands of modern advertising and appearances require a product that looks good and stands out. For this reason, many industries will want to take advantage of the high-quality and convenience of painted steel. 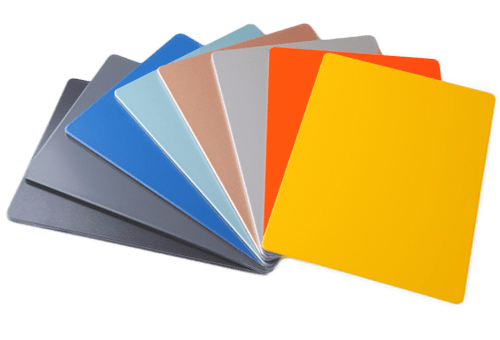 Prepainted, coated steel sheets offer many advantages including a stronger coat, corrosion resistance, and the beautiful paint options for texture and color. Vehicles, buildings, appliances, packaging, and electrical power equipment are all composed of steel products. Painting can require contractors that would normally not be required to a construction project. This creates complications for site development. If the painted steel is ready to apply, then there is no need to clutter the workspace and schedule with excess construction behaviors. A prefinished steel can simplify the process greatly. While manufacturing or constructing a project, the process can be delayed by the painting process. Metal that has to be painted after installation may require the paint to dry before the project can continue. A prefinished steel can be used to remove any bottlenecks in the process and minimize the time a project takes. This cuts on the cost of hiring workers for the amount of time saved. Painted steel can also ensure higher quality paint jobs than post finished steel because the extra factors are eliminated. Within the factory, a paint job can be made completely consistent without the disruption of winds and the use of commercial equipment designed for efficiency. Painted steel along with other metal products such as prefinished aluminum can improve the environments of our constantly growing civilization. Wrisco is an industry leader in steel and aluminum coil production. Any construction or transportation project will benefit greatly from using our prefinished metals. Call us now at 561-626-5700 to learn about our high-quality metal architectural and building products.